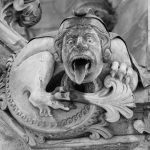 St Andrews in Scotland is known for golf but as guest writer GREGOR STEWART explains it also has its fair share of ghosts! The spotlight of the golfing world has once again been shining on St Andrews in Fife, Scotland, and with over 100,000 visitors making the journey, the weather once again ensured that the town lived up to its nickname of the ‘Grey City’. 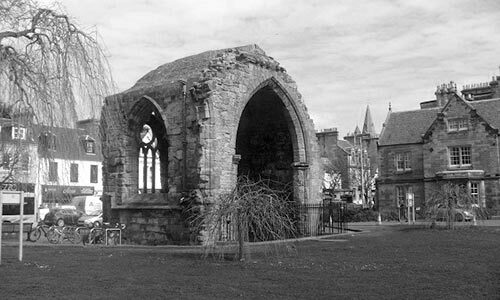 What many people do not realise while they walk between the ancient buildings is that, as well as being the home of golf and the home of the blossoming young love between a certain William Windsor and Kate Middleton, St Andrews was also home to the medieval Scottish Church. Having outgrown the Church of St Rules, construction started on the Cathedral in 1160, but it would take a further 150 years to complete what was destined to be the largest church in the country. During this time, the nearby castle was also constructed, to provide a fortified home for successive archbishops. The town remained a religious powerhouse until the sixteenth century when the reformation arrived and these once mighty buildings were destroyed. Unfortunately, those in charge of the church did not necessarily choose to live by the rules of the church, bringing conflict, bloodshed, assassinations and brutal executions to the streets, where many believe the spirits of those who suffered still walk. One of the best-known ghosts is that of the friendly monk in St Rules tower, all that remains of the original St Rules Church. It was in the late 1950s that the tale gained in popularity, when a visitor made the long climb up the tight spiral staircase to the top of the 100-foot high tower. As he did so, he stumbled on the old, worn stairs and was offered assistance by a gentleman who was coming down the stairs. The visitor politely declined the help and the man continued past towards the bottom of the tower. After spending some time completely alone at the top of the tower, the visitor returned to the staircase and, as he descended, he became aware of just how narrow they were and his thoughts turned to the man he had encountered earlier. The stairs are far too narrow for two people to stand side by side, yet he had not felt the man even brush against him as they had passed. He also recalled that he had been wearing some form of robe, an unusual choice of garment. Upon reaching the bottom of the tower, the visitor spotted a custodian and asked about the other man. The custodian assured him no one else had been up the tower but, upon hearing his story, assured him that he had simply encountered the spirit of the monk, who comes to the aid of those who struggle with the stairs. The ghost is believed to be that of Robert de Montrose, who was a prior at the cathedral in the 14th century. A young monk in his care named Thomas Platter was particularly disruptive, yet Montrose refused to give up on him, believing everyone had some good in them. Platter however did not appreciate the faith his Prior had in him, and while spending a night locked up due to yet another misdemeanour, he plotted his revenge and, in 1393, he followed Montrose as he went about his nightly duties and stabbed him several times in the back. The prior survived long enough to identify his assailant, who after a short trial was sentenced to imprisonment on limited rations and was, in effect, starved to death. It seems Montrose has never lost his faith in people, still returning to offer help to those in need. 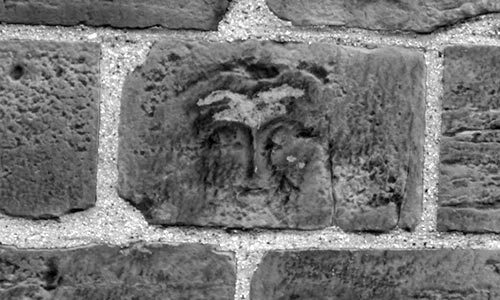 A far less pleasant phantom of a horribly disfigured woman lurks nearby on a short street that leads to St Leonards Kirk, known as Nuns Walk, and a sighting of this spook is something you want to avoid. According to the legend, in life she attracted far more attention than she desired, due to being intelligent and beautiful. Eventually she agreed to marry, but she was to never make it to the altar, with the story varying between her fiancé having a change of heart, or being killed. The grief stricken woman decided that to avoid the risk of further heartbreak, she would take matters into her own hands and with a sharp knife, she sliced off her ears, eyelids, nose and lips. Having ensured that no man would ever look at her again, she turned to religion and became a nun. Her injuries were however to soon catch up with her, and she died. Reports of encounters with her ghost range from a feeling of being watched, dogs cowering from an invisible energy as it passes and sightings of a figure in the shadows, but a few have been unlucky enough to have a full encounter with the nun, when she removes her veil to reveal her face.The last reported incident is believed to have been in the late 1960s, when a student was discovered slumped on the ground muttering ‘the nun, the nun’. 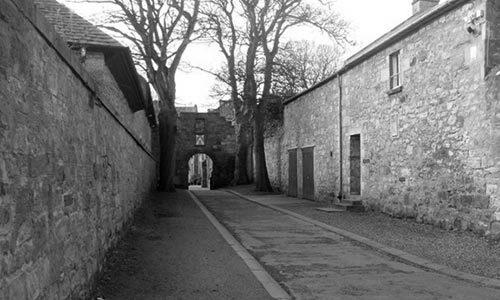 The lonely figure of a monk is also seen wandering through the ruins of Blackfriars Chapel in the centre of the town, believed to be the ghost of Alexander Campbell, who was a key player in the execution of Patrick Hamilton, a Protestant Reformer. Hamilton’s death was particularly gruesome. Having been sentenced to be burned alive, several attempts to ignite the fire using small amounts of gunpowder only served to severely injure Hamilton. Eventually the fire was lit, but burned too slowly to generate enough heat. It was found that wet wood had been used in the hastily constructed pile, and while dry wood was being brought, Campbell seized on the chance to verbally attack Hamilton, condemning him to face the judgement of Christ. Eventually the fire roared and, six hours after his ordeal had started, Hamilton perished. Just a few days later, Campbell was struck down with a mysterious illness that quickly took his life, and local belief is it was he who faced the judgement of Christ, forever condemning him to remain at the chapel. 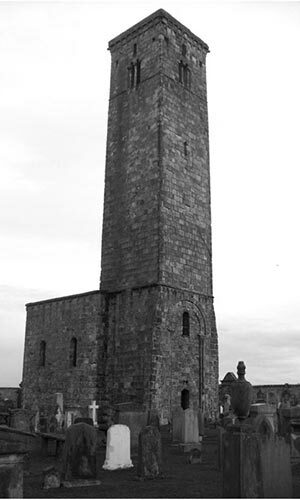 As for Patrick Hamilton, his suffering has forever left its mark on the town, not in the form of a physical haunting, but it is said that as his spirit left his body, his face was burned into the stonework of St Salvators Tower, that stands in front of the spot where he was executed. 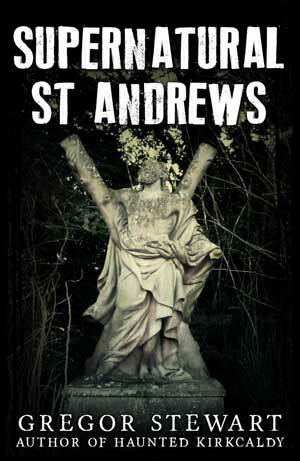 Further details on these, and many more of the town’s ghosts, can be found in Supernatural St Andrews, available online and in local bookstores.